You only run your first Boston once, so I splurged and paid the outrageous price Marathonfoto charges to download race photos. I gotta get my $85 worth, so you – my lucky 5 readers – get to be the first ones to see them. Feel free to right click and save them and make poster blow-ups of them. 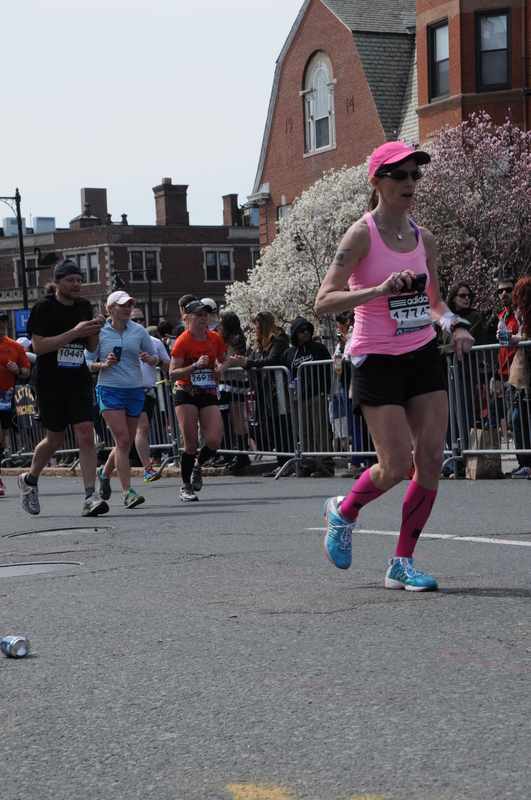 😉 First marathon photos where I actually look like I’m having fun, instead of walking and like death! I love this one – you can tell I was around the real serious runners – with two of us having cameras and one dude texting while he’s running. 🙂 And is that a BEER can on the course by my foot? It’s not mine – I swear! 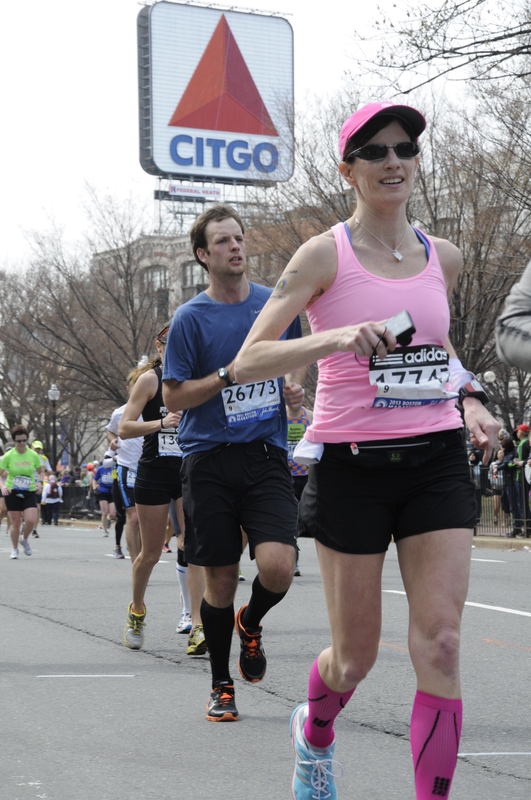 SO glad we saw you HAPPY and SO exhilarated after a marathon! until 15 min later IT happened! I’m not so sure $85 is that bad for the package. Consider the staff & equipment needed to get these shots of virtually everyone in the marathon . And no guarantee that everyone will buy photos. They did a good job covering you & if they did that for 25,000 people ,I think they earned the $ 85 per package. You look awesome, are you sure that wasn’t your beer can on the ground? 20 years from now you’ll be so happy to have those photos, well worth the price.